Secure parking in basement of atrio building. Parkhound has 316 cheap and secure car parks available for rent in central Fortitude Valley. You can select to rent undercover, outdoor, garage, driveway, overnight and secure parking spaces for your car right now. The average hourly parking price in Fortitude Valley is $2.13, the average daily parking price is $21.76, and the average weekly parking price is $80.20. For the cheapest and best central Fortitude Valley parking we recommend selecting from the list above, viewing the car park details and booking a long term or short term parking space by selecting the dates you need or you can find out more about how it works. There are plenty of drivers looking for cheap and secure parking in central Fortitude Valley. You could earn over $4,170.40 a year from renting out your parking space overnight, long term or short term. 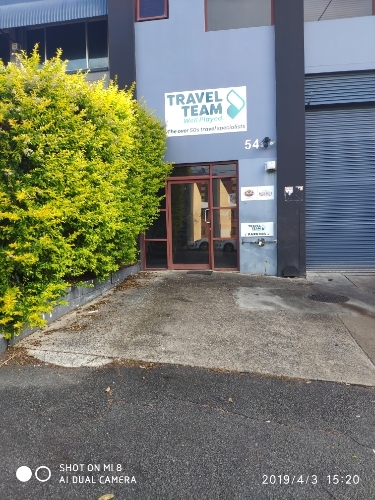 It is a great way to make money in Fortitude Valley for nothing and help out your local Fortitude Valley community by helping a mate get to where they need to be easier. Parkhound takes care of all the hassle including contracts and payments. So why don't you lease out your Fortitude Valley driveway, garage, car port or parking space today; Its easy, free and takes less than two minutes, Lease my space. Recognised fondly as ‘The Valley’, the suburb of Fortitude Valley has solidified itself as a cultural hub of nightime entertainment and shopping. It was the country’s first dedicated entertainment district and continues to thrive today, drawing people from all corners of the country to witness and experience it. The name of the land that now is known as Fortitude Valley came from the SS Fortitude that brought Scottish immigrants to Australia in 1849. While they were denied the land that was promised to them, it didn’t stop the first residents of the land and they settled in the area, eventually naming it after the ship that brought them to Australia. In the 20th century, Fortitude Valley was known for its thriving retail precinct. In the 1950s, it was the largest non-CBD shopping precinct in the country, bringing people from all states to experience it. However with the rise of suburban shopping centres, the precinct gradually began to lose its popularity and fell into disrepute until the late 1980s, when it was revitalised with the completion of the Chinatown Mall. Following the Chinatown Mall, other businesses began to add to the glamour, including various live music venues and nightclubs. This resulted in people associating the area with being a quality nightlife and entertainment area. Several thousands of people travel to the Valley in order to have a great night on the town and just to hang out with friends and family. There are several things you can do in Fortitude Valley that are unique experiences. Have lunch at the Les Bubbles Steakhouse and afterwards, head downstairs and hit the spa with beer and cocktails. If you’re a fan of dancing, you can salsa the night away at Cloudland with lessons in the early evening and free dance time till the early hours. While there might be free parking spaces and street parking available, they are in high demand with both locals and visitors. Many of the car parks require that you be a customer in order to obtain free parking, and even then, it’s only for a limited amount of time with the parking time rarely exceeding 2 hours. Larger car parks such as Secure and Wilson Parking are dotted around the suburb, which helps with evening parking since it’s such as popular destination around that time of day. Many of the car parks will offer a night rate or an evening flat rate due to how popular the suburb is. Parkhound can also be your parking solution, as you can utilise parking spaces and garages of renters within the Fortitude Valley neighbourhood. Choose the spot that fulfils your requirements for the night, week or month.